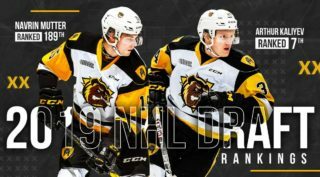 The Bulldogs got a big win on the road Friday night as they went into Mississauga and beat the Steelheads 5-2. Hamilton was the better team in the 1st period and got the offense going early as Brandon Saigeon (18) buried a rebound at 3:25 for a 1-0 lead. 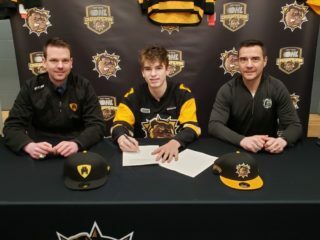 Arthur Kaliyev (20) made it 2-0 Bulldogs with a goal at 11:41 as Hamilton out-shot Mississauga 13-6 in the opening period. The Bulldogs made it 3-0 early in the 2nd as Brandon Saigeon (19) converted on the power-play. The Steelheads got their offense going with a power-play goal of their own at 11:10 to make it a 3-1 game, but Hamilton got that one back 78-seconds later as Artur Kaliyev (21) got his second of the night. Mississauga got another power-play goal with just 15 seconds left in the period to cut the Hamilton lead to 4-2. The Steelheads came at the Bulldogs hard in the 3rd period, but the only goal was a short-handed empty netter by Nicolas Mattinen (9) to finish the scoring at 18:50. 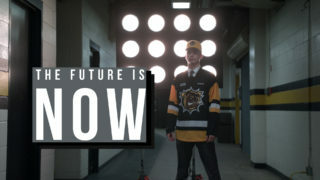 Hamilton out-shot Mississauga 37-26 as Bulldogs goalie Nick Donofrio made 24 saves for the win. Matthew Strome finished the game with three assists. Steelheads goal scorers were Ryan McLeod (7) and Cole Carter (21). 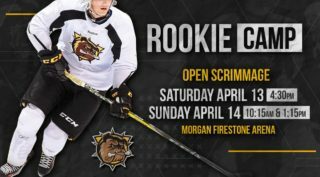 The Bulldogs return home on Saturday to take on the Windsor Spitfires at FirstOntario Centre at 4 pm.